This addin is no longer maintained. Please use Cake.Issues.InspectCode instead. The Inspect Code support for the Pull Request Code Analysis Addin for Cake allows you to write any issues logged by JetBrains Inspect Code as comments to a pull request. This addin is no longer maintained. Please use Cake.Issues and Cake.Issues.PullRequests instead. 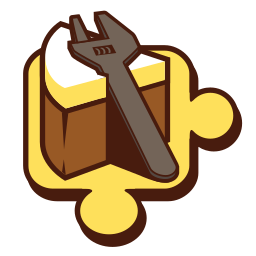 The Pull Request Code Analysis Addin for Cake allows you to write issue found using any code analyzer or linter as comments to pull requests. This addin is no longer maintained. Please use Cake.Issues.MsBuild instead. The MsBuild support for the Pull Request Code Analysis Addin for Cake allows you to write any issues logged as warnings in a MsBuild log as comments to a pull request. This addin is no longer maintained. Please use Cake.Issues.Markdownlint instead. The Markdownlint support for the Pull Request Code Analysis Addin for Cake allows you to write any issues logged by Markdownlint as comments to a pull request. This addin is no longer maintained. Please use Cake.Issues.EsLint instead. The ESLint support for the Pull Request Code Analysis Addin for Cake allows you to write any issues logged by ESLint as comments to a pull request. Provides a parser to get repository information from an Azure DevOps and Azure DevOps Server URLs.